From Kamiyacho station (H05) exit 2 walk in the direction of Russian Embassy about 5 minutes. 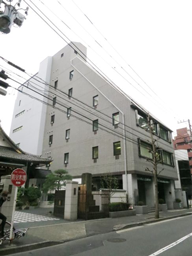 Ichijoji Building is located on the left side of the small road, leading to Tokyo American Club. Jigsaw, JigsawMobile and JASMIN are trademarks of Orchid Technology K.K. Copyright © 2018, Orchid Technology K.K. All rights reserved.